Children ages 12 months to 13 years. All healthy children should receive their first chickenpox vaccination at age 12 to 15 months and a second vaccination at age 4 to 6 years (preferably before entering pre-kindergarten, kindergarten, or first grade). Adolescents and Adults ages 13 years and older. All healthy teenagers and adults who have never had chickenpox or the vaccine should receive 2 doses of the varicella vaccine, given 4 weeks apart.
. The virus spreads in the ganglion and to the nerves connecting to it. 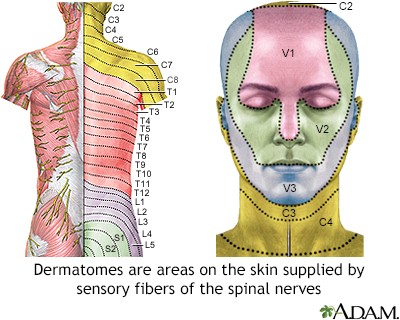 Nerves most often affected are those in the face or the trunk. The virus can also spread to the spinal cord and into the bloodstream. 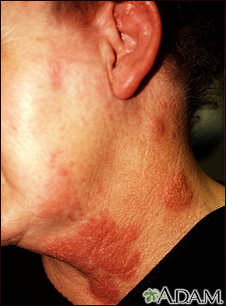 PHN usually affects people with herpes zoster who are over 60 years old. The older a person is the longer PHN is likely to last. It rarely occurs in people under age 40. Some studies suggest that women may be at slightly higher risk for PHN than men. 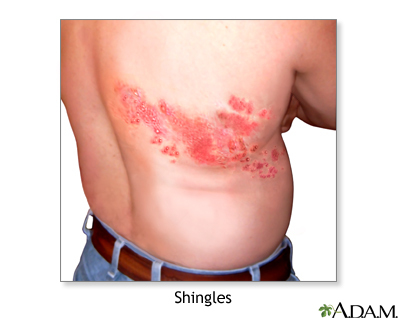 People who had prodromal symptoms or a severe attack (numerous blisters and severe pain) during the initial shingles episode are also at high risk for PHN. 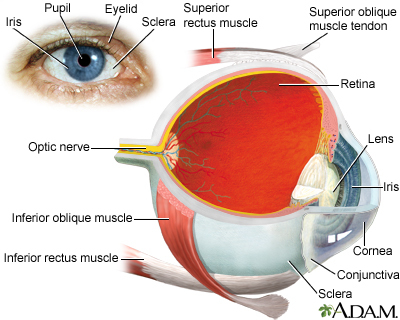 People whose eyes have been affected also have increased risk for PHN. Guillain-Barré syndrome is caused by the inflammation of the nerves and is associated with a number of viruses, including herpes zoster. The arms and legs become weak, painful, and, sometimes, even paralyzed. The trunk and face may be affected, including breathing. Symptoms vary from mild to severe enough to require hospitalization. The disorder typically resolves in a few weeks to months. Other herpes viruses (cytomegalovirus and Epstein-Barr), or bacteria (Campylobacter) may have a stronger association with this syndrome than herpes zoster. Ramsay Hunt syndrome occurs when herpes zoster causes facial paralysis and rash on the ear (herpes zoster oticus) or in the mouth. Symptoms include severe ear pain and hearing loss, ringing in the ear, loss of taste, nausea, vomiting, and dizziness. Ramsay Hunt syndrome may also cause a mild inflammation in the brain. The dizziness may last for a few days, or even weeks, but usually resolves. Severe or partial hearing loss may occur but this too is usually temporary. Facial paralysis, on the other hand, may be permanent. Bell palsy is a partial paralysis of the face often caused by damage to a facial nerve. Sometimes, it is difficult to distinguish between Bell palsy and Ramsay Hunt syndrome, particularly in the early stages. In general, Ramsay Hunt syndrome tends to be more severe than Bell palsy. Inflammation of the membrane around the brain (meningitis) or in the brain itself (encephalitis) is an uncommon complication in people with herpes zoster. The encephalitis is generally mild and resolves in a short period. 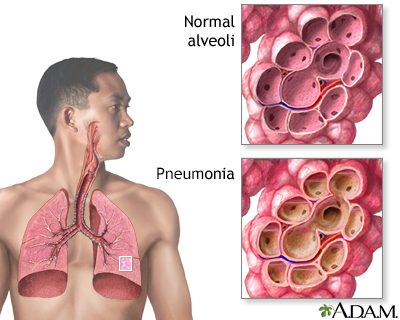 In rare cases, particularly in people with impaired immune systems, it can be severe and even life threatening. Some research suggests that herpes zoster may increase the risk for transient ischemia attack (TIA), stroke, or possibly heart attack in the first weeks or months following a shingles outbreak. Antiviral drugs may be protective. or similar antiviral drugs may be used for children over age 12 and adults who have a high risk for developing complications and severe forms of chickenpox. It is not commonly prescribed for young children. To be effective, oral acyclovir must be taken within 24 hours of the onset of the rash. Early intravenous administration of acyclovir is an essential treatment for chickenpox-related pneumonia. 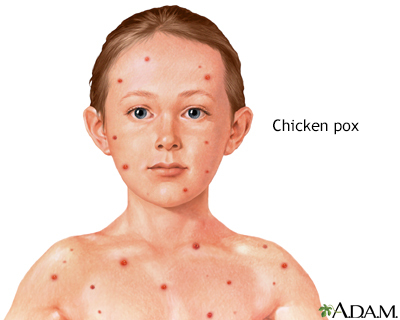 Valacyclovir and famciclovir are other antiviral drugs that may help treat chickenpox. A patch that contains the anesthetic lidocaine (Lidoderm) is approved specifically for postherpetic neuralgia (PHN). Another patch (EMLA) contains both lidocaine and prilocaine, a second anesthetic. The most common side effects are skin redness or rash. Capsaicin is a chemical compound found in hot chili peppers. A prescription capsaicin skin patch (Qutenza) is approved for pain relief of PHN. The patch must be applied by a health care professional, as placement of the patch can be painful. Because the patch may increase blood pressure, the person should be monitored for at least 1 hour after the patch is applied. A lower-concentration ointment form of capsaicin (Zostrix) is available over the counter, but its benefits may be limited. Topical aspirin, known chemically as trolamine salicylate (Aspercreme), may bring relief. Topical gels containing menthol, such as high-strength Flexall 454, may be helpful.